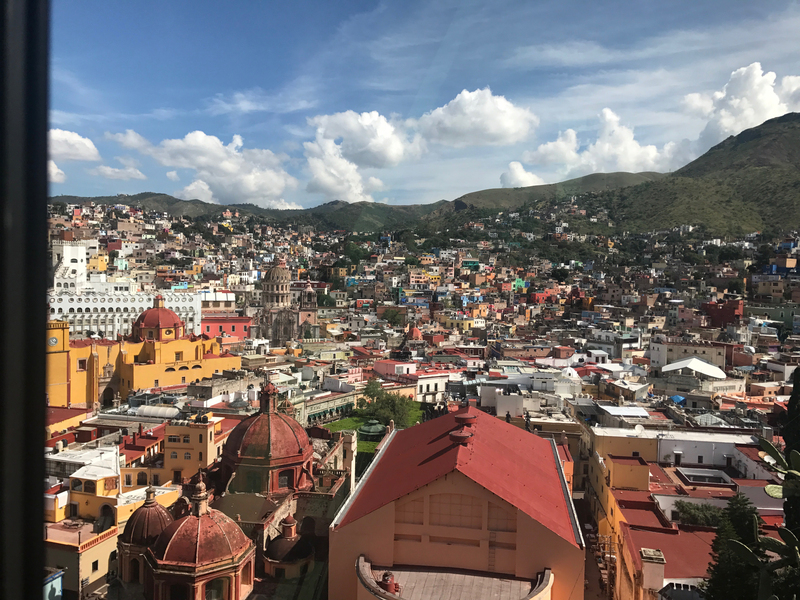 Make the picturesque Spanish Colonial hill town of Guanajuato your destination for creating and exploring next Winter! The workshop focuses on taking a painters approach to printmaking. Using a combination of monotype, encaustic, intaglio and relief techniques for creating multi-layered prints rich with depth. Using Akua non-toxic water-based inks, participants of all levels will learn encaustic collagraph through various methods of both applying a wax matrix as well as mixing, layering plates, using unique heated mark-making tools, and exploring various types of paper. Instruction includes a wide range of technique specific to encaustic in combination with with various intaglio printmaking techniques. Multi-plate printing registration and methods will also be taught creating even more limitless opportunities in creating unique one of a kind prints. Our host Hugo Anaya has reserved 9 rooms that can accommoadate 1 or 2 people each for up to 10 participants at his charming B&B Alma del Sol. These accommodations are $100 per night/ room. Daily delicious breakfasts in the sun filled rooftop dining room every morning will get you proteined up for the walk to class! The workshop takes place at Piramidal Grafica. A paradise of an art compound just up the hill from Alma del Sol. The studio has two large presses and ample workspace for up to 10 participants. This professional printmaking facility is well suited to serve all the creative needs of workshop attendees. All participants are responsible for their own travel to and from Guanajuato. You will likely fly in to Leon (BJX) and will receive instructions for ground transportation to Guanajuato. The tuition is $1025 and includes 36 hours of instruction, most studio supplies, a welcome dinner and 6 home cooked authentic class lunches. For more information, contact Elise at elise@elisewagner.com or at 503-267-6365.